As wild and beautiful as the Irish countryside, Dera Brennan gives herself to the Irish rebel leader, Quint Flannery, with delirious abandon. But Quint is not one to be tied down by the shackles of love. To spite her faithless lover, Dera impulsively marries the haughty and imperious Lord Avery Fairfax, Quint's notorious enemy. Yet even after Avery is murdered and Quint is suspected of the heinous deed, Dera's heart yearns again for the love and passion she shared with Quint. 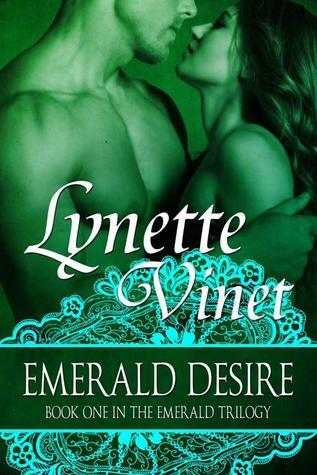 Can old hurts be forgiven and forgotten in time for Quint and Dera to reclaim their emerald desire?